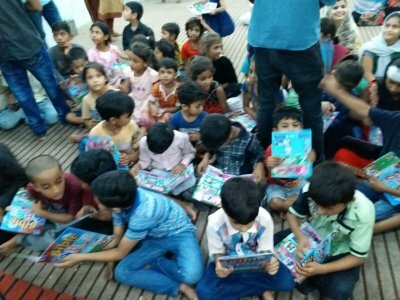 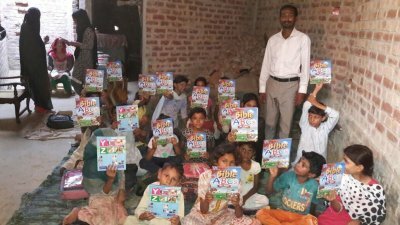 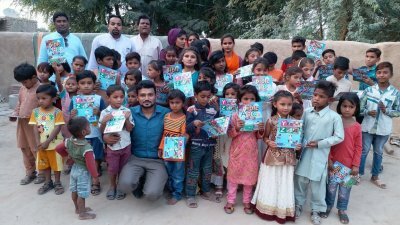 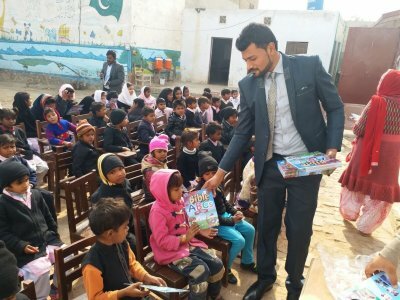 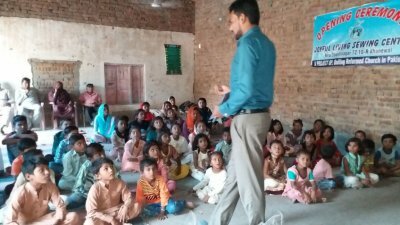 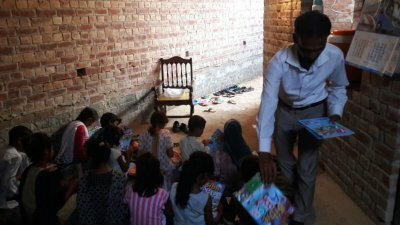 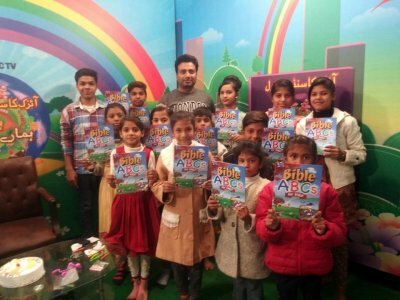 The photo below shows Evangelist Mr. Javed Alam, the founder and chairman of "Children Care Minisitries Pakistan", executing a distribution ceremony of "Bible ABCs for kids" in "Church of God Ministries Pakistan" located in Lahore. 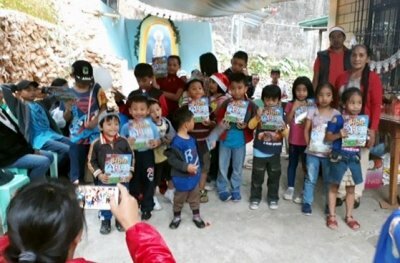 This ceremony can be seen in the video clips part 1 and part 2. 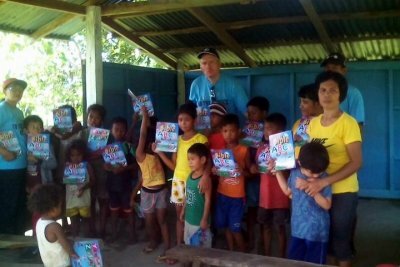 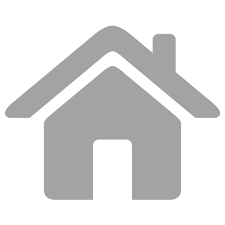 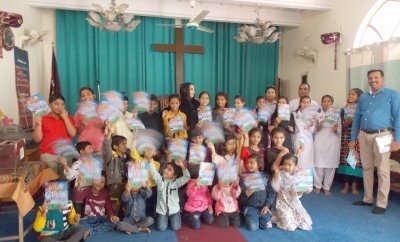 The distribution then continued, in part 3, to kids in the "Holy Family Church Ministry" and , in part 4, to kids in the "New Apostolic Church". 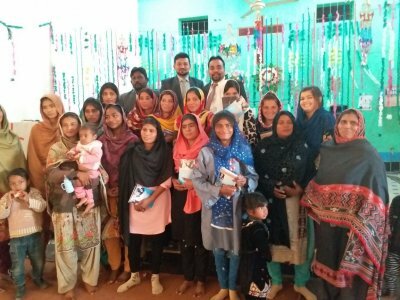 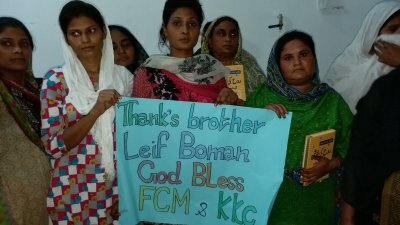 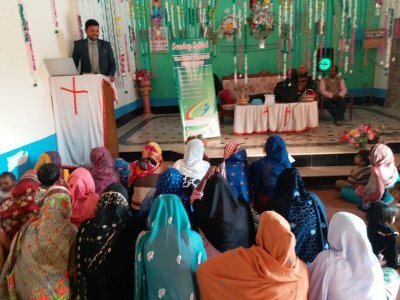 Evangelist Nabeel Amanat and Pastor Imran from FCM Faisalabad on a short visit to "Faith Gospel Assemblies" in Khanewal, Pakistan, for a meeting with Pastor Peter John. 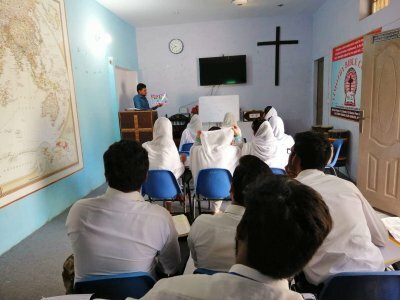 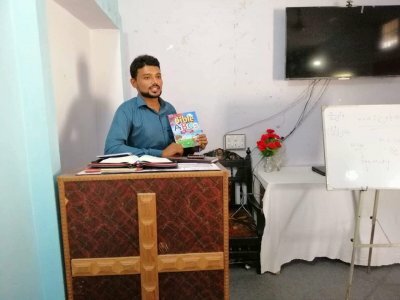 Nabeel and Imram were preaching about "mercy and real repentance", giving a lecture for the bible students about "Importance of children and how to train them on right way". 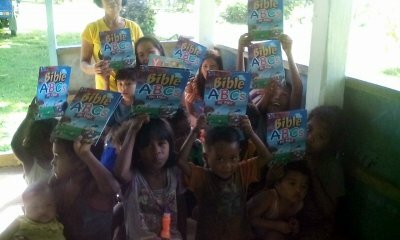 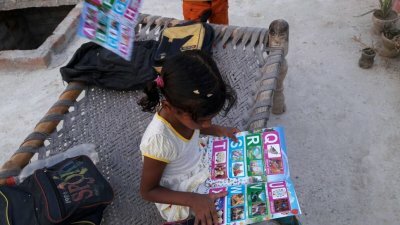 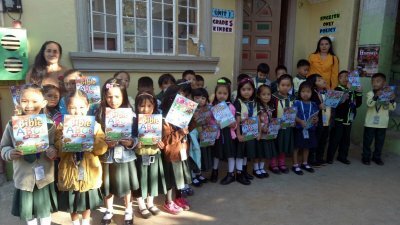 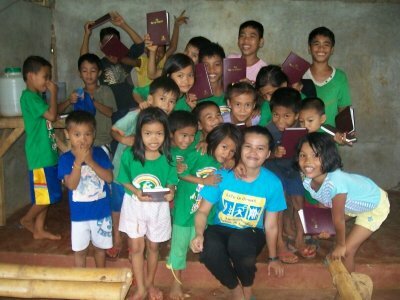 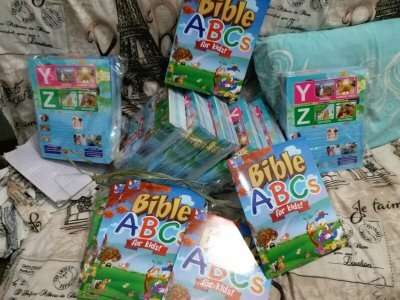 In addition, they also met lots of kids for distribution of "Bible ABCs for kids" (see below). 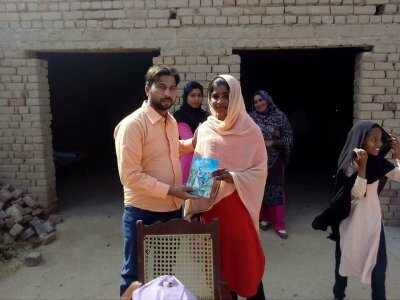 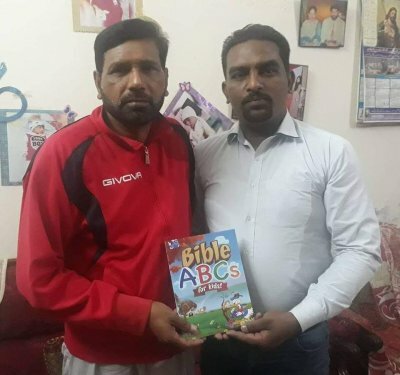 Evangelist Zeeshan (to the right) from "True Light Ministry", the KKC Karachi Team Leader and one of the authors of "Bible ABCs for kids" distributed the book in Sialkot, where Mr. Ishaq, in the red jacket, is the acting pastor. 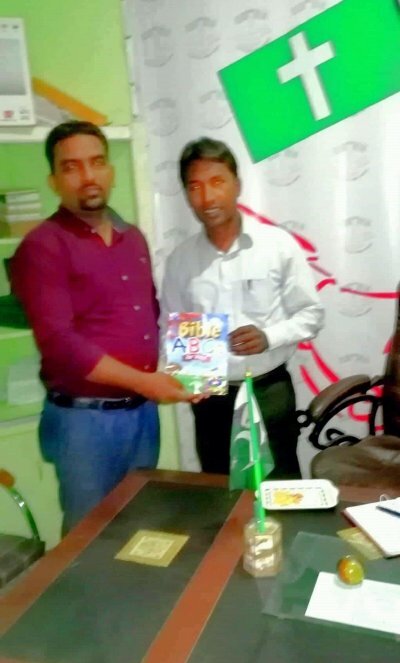 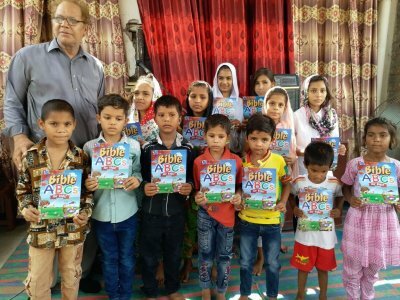 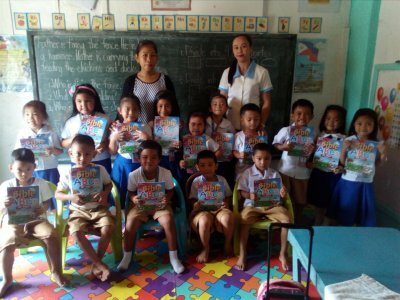 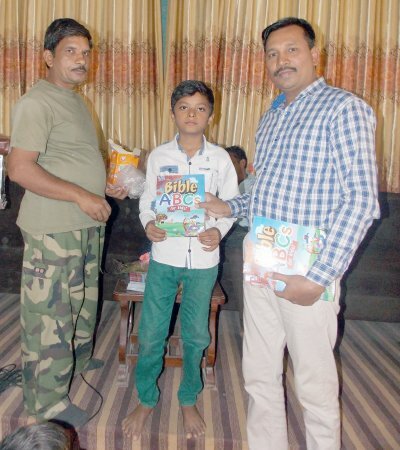 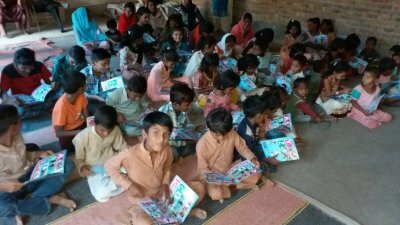 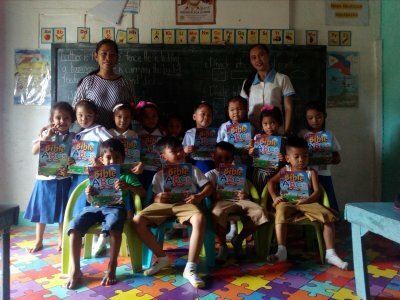 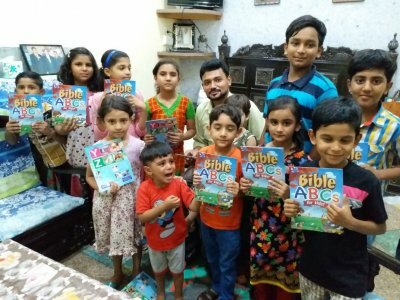 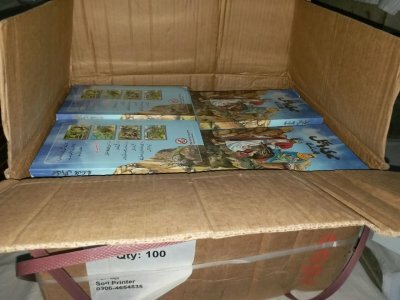 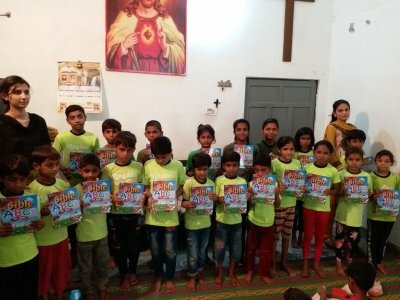 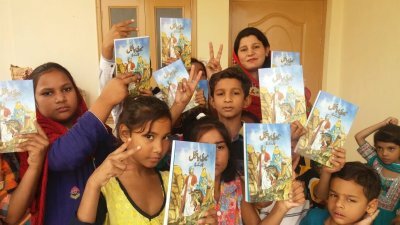 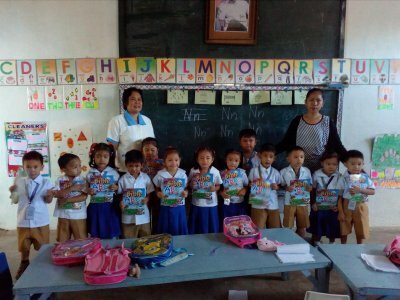 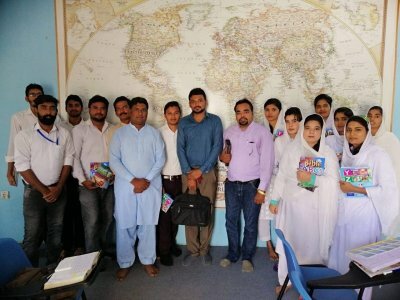 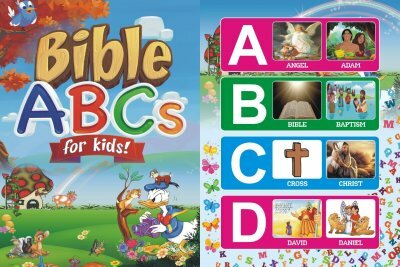 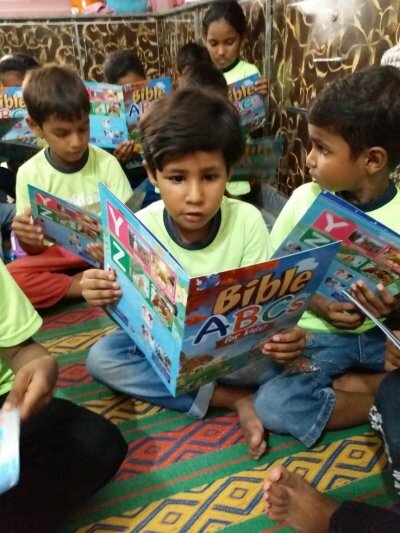 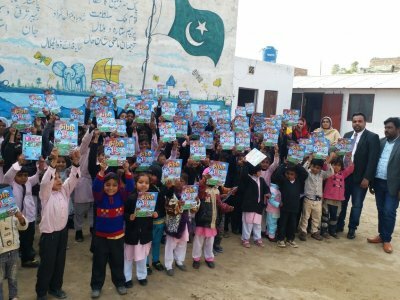 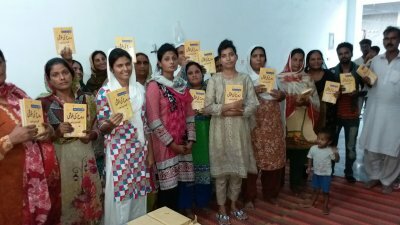 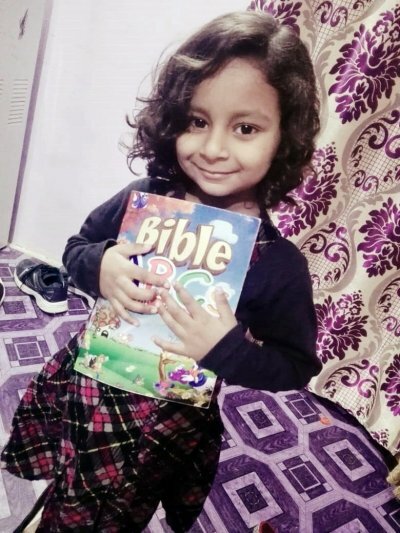 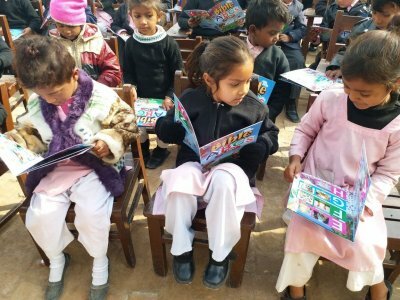 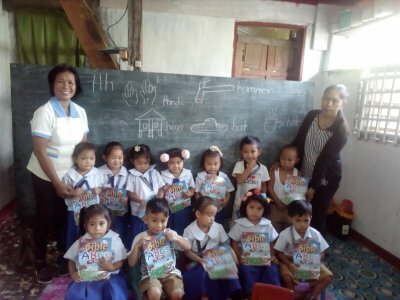 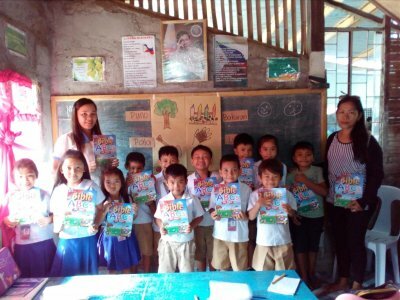 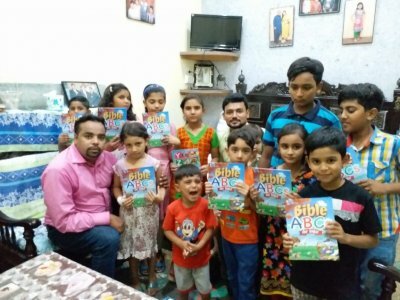 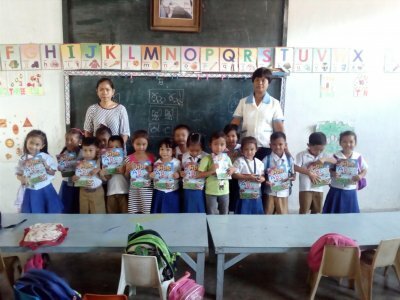 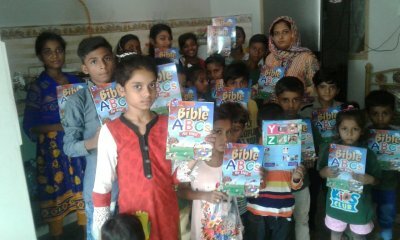 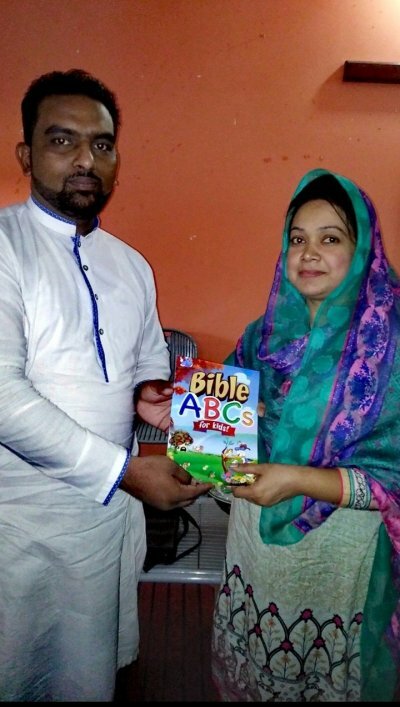 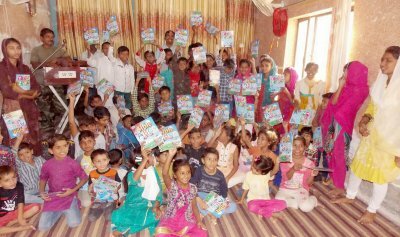 The the little book was given to kids in the "CTI church"
In addition, Mr. Sunil Gill, with the beautiful Pakistani flag on his table, and representing the "Christians Care Hands", received a copy of "Bible ABC for kids"